Describe a person with a heart of gold and you will get words likes “believe”, “respect”, “patience”, “care”, “love” and many more. 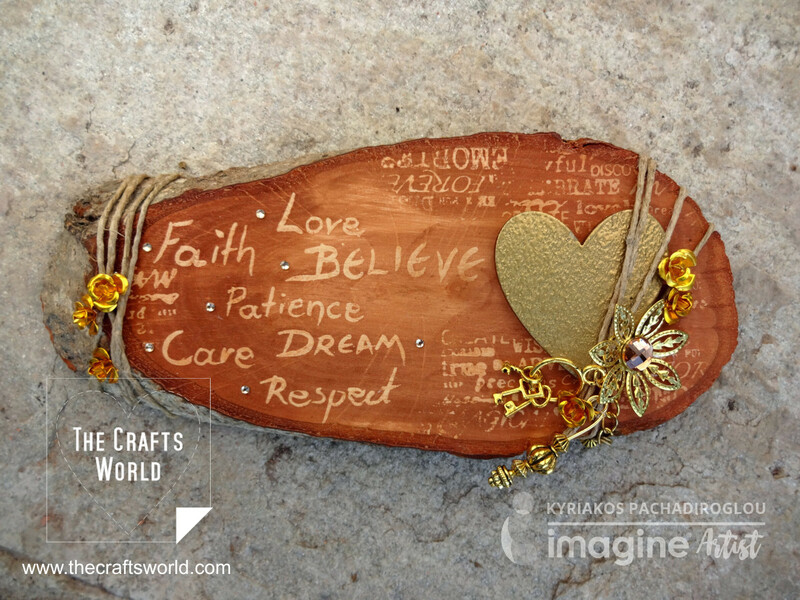 Some of them are marked on a slice of bark and enhanced by a golden heart out of wood and embossing powder. Words are written with a paintbrush and the magic of GooseBumps and then covered with Walnut Ink. 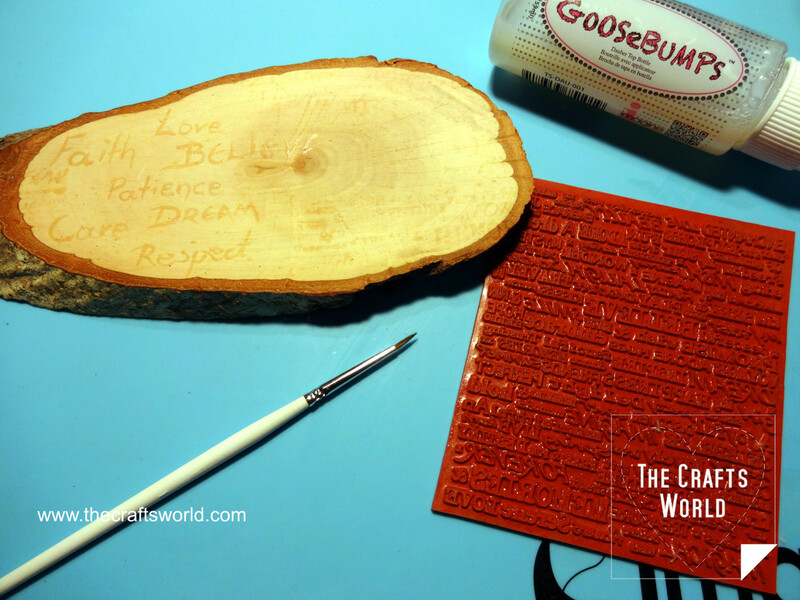 Using GooseBumps write with a paintbrush the words and stamp with the ruuber stamp. 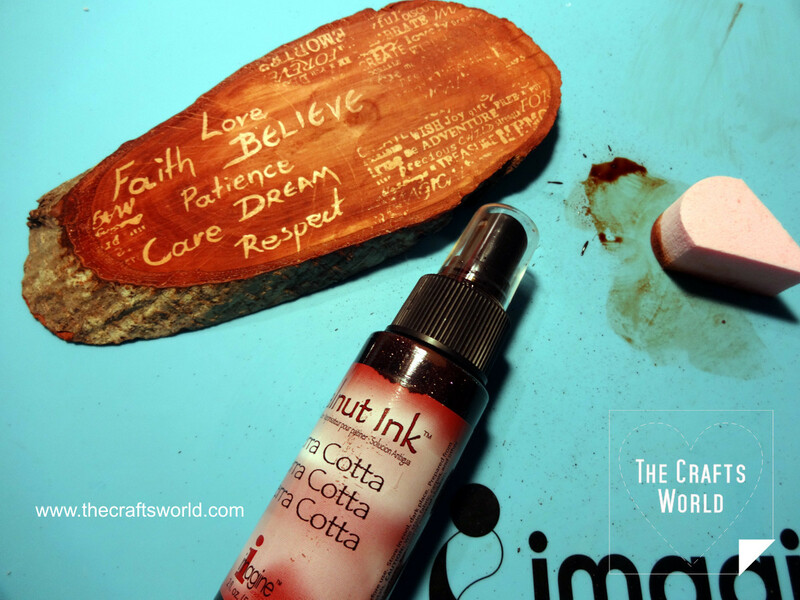 When it dries, paint the Walnut ink and continue with the decoration with the rest of the embellishments. The wooden heart is heat embossed with the gold embossing powder.